The risk of these mental health side effects is still present, especially in those currently being treated for mental illnesses such as depression, anxiety disorders, or schizophrenia, or who have been treated for mental illnesses in the past. However, most people who had these side effects did not have serious consequences such as hospitalization. Based on the data, an independent panel to the FDA in September narrowly voted in favor of removing the warning, arguing that the benefits of Chantix outweighed the demerits of its side-effects and that there was no clear evidence of causality between the drug and the side-effects. Dame Sally Davies was accused of nanny state attitudes when she made the comments earlier this year to MPs at a science and technology select committee hearing. Although promising, this technology is not a panacea for many of the challenges that affect the management of cancer, but now, and in the immediate future, it will have an important role to play in informing treatment decisions in non-small cell lung cancer, colorectal cancer and melanoma. While these early results are positive, the researchers do point out a few issues. First of all, the kind of trial they carried out is what’s known as retrospective. This means that they didn’t plan the samples they would collect ahead of time, rather they went back and looked at samples that were already available and analysed them. Scientists at the Sorbonne University in Paris discovered that the prognosis for patients is far worse if tumour DNA is found in their blood. 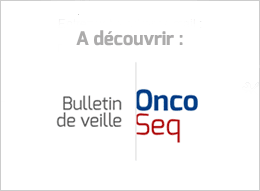 “Our study confirms, in one of the largest reported series, the feasibility of detecting ctDNA in patients with pancreatic adenocarcinoma using a specific next-generation sequencing (NGS) analysis method that allows us to screen a large number of genes,” said Jean-Baptiste Bachet. Serum levels of ANGPT2, a protein related to angiogenesis (blood vessel formation), was found to predict response to and influence the outcomes of treatment with a class of immunotherapeutics called immune checkpoint inhibitors in patients with advanced melanoma, according to a study published in Cancer Immunology Research. Glioblastoma patients with a high degree of vascularization of their tumors were found to have benefited from a treatment previously deemed ineffective, a new Stanford study shows. Reporting in Cancer Cell, they show that the tissues in these still-developing organs are more prone to apoptosis, or programmed cell death, when subjected to toxic stresses like chemotherapy and radiation. The results cannot be generalised to men with more advanced cancers – it's not known whether it would be safe and effective in other groups. The results also may not apply to all men defined as "low risk", only those defined as such when the study began in 2011. In an early-phase clinical trial of a new oral drug, selumetinib, children with the common genetic disorder neurofibromatosis type 1 (NF1) and plexiform neurofibromas, tumors of the peripheral nerves, tolerated selumetinib and, in most cases, responded to it with tumor shrinkage. NF1 affects 1 in 3,000 people. The idea of a drug made of harmless bacteria that can be activated by light to become cancer killers is not a new one. Photodynamic therapy is already being used to treat skin cancer and others where light can easily penetrate. Unfortunately, it has also been abused. Each nanodisc contains patient-specific tumor neoantigens, which are genetic mutations in tumor cells, according to a press release. When given as a vaccine, the nanodiscs prompt the immune system to generate cancer-killing T cells that are preprogrammed to recognize the specific tumor in that patient’s body. In this story, the science reporter Denise Grady provides human backstory about her article about a woman who, remarkably, recovered from colon cancer after treatment with cells from her own immune system. Mahjoubi has been operating at AstraZeneca’s big MedImmune subsidiary in Gaithersburg, MD for the past three years, where it’s been hard at work on durvalumab, a PD-L1 checkpoint inhibitor likely destined to be the fourth or fifth such immuno-oncology program to hit the market. Kite is one of a growing number of drug and biotech companies relying on federal laboratories. Analysts expect the company to charge at least $200,000 for the new treatment, which is intended as a one-time therapy for patients. The method is based on modifying T cells, one of the immune system's main weapons, to target specific tumor cells, but Medigene expects a market launch to be at least four and a half years away. JCAR017 uses a defined CD4:CD8 cell composition and 4-1BB as the costimulatory domain, which differentiates it from other CD19-directed CAR T product candidates in clinical development. “This is the first example of CAR-T working in solid tumor cancers,” said Dr. Behnam Badie, chief of neurosurgery at City of Hope and a key investigator in the study. The USPTO's decision will have no impact on the timing of the rolling submission or review of the Biologics License Application for Kite's lead product candidate, axicabtagene ciloleucel (KTE-C19), a potentially lifesaving investigational therapy that has demonstrated the most advanced utilization of the CD28 costimulatory domain in a CAR-T therapy to date. The U.S. Patent & Trademark Office instituted a review of the patent and on December 16, 2016 issued a final written decision upholding all the claims of the patent. Participants in the niraparib arm of the 553-person, double-blind, placebo-controlled study had an average progression-free survival (PFS) of 21 months, compared to 5.5 months for the control arm. sNDA includes data from Phase 3 PALOMA-2 trial to support conversion from accelerated approval to regular approval. In the Phase II study, Merrimack recruited women who had already been treated with Herceptin, Perjeta and Kadcyla. The loss of Mahjoubi is a setback for AstraZeneca, given the British drugmaker's focus on new cancer treatments. Mahjoubi previously worked at Roche's Genentech unit before joining AstraZeneca, where he has helped lead oncology strategy. The drug, which has been granted orphan drug designation by both the U.S. FDA and the European Union for the treatment of AML, is also being tested in patients with myelodysplastic syndrome, another form of blood cancer. Already allied on a combination of Opdivo with PsiOxus’ leading oncolytic virus, enadenotucirev, Bristol-Myers has come back for NG-348, an “armed” oncolytic virus that adds immuno-therapeutic transgenes to the cancer cell destroying mix. The drug targets KRAS, which spawns genetic mutations that figure prominently in cancer cases, giving AstraZeneca boasting rights to the first antisense drug with KRAS as a target that will enter clinical development. Tolero has been at work building a case for its lead drug, the late-stage CDK9 inhibitor alvocidib, as a combination therapy suited to acute myeloid leukemia. Though much of the anxiety has been over politically driven criticism and the potential for government price curbs, the only real pricing pressure in the U.S. has come from the private sector. Most worrisome is an internal assessment suggesting that relocating the agency might mean losing up to half its personnel. That would be a big setback. Data highlight a slow year for the US Food and Drug Administration. For some hospitals with significant violations of federal medical device reporting regulations, FDA officials said the agency received a response that was not adequate to address those violations. The agency’s report was published weeks before President Barack Obama signed the 21st Century Cures Act, a comprehensive health care reform and research funding measure that some critics lambasted for not including a medical device safety bill designed to address systemic lapses in reporting of adverse events. The FDA has approved its PARP inhibitor rucaparib, to be sold as Rubraca, to treat ovarian cancer cases with BRCA mutations. The drug is entering a market that will be sliced and diced by a variety of competitors. Rubraca received approval under the FDA’s accelerated approval program based on objective response rate and duration of response. Even with this progress in ovarian cancer, the current reach of PARP blockers remains limited. But it’s possible that could change over the next few years. Pfizer, for instance, bought Medivation for $14 billion in part for an experimental PARP blocker, talazoparib, being tested in breast, lung, and prostate cancers. Tesaro’s niraparib is being tested in breast cancer, and AstraZeneca is exploring olaparib’s use in a variety of cancers as well. The safety and efficacy of Rubraca were studied in two, single-arm clinical trials involving 106 participants with BRCA-mutated advanced ovarian cancer who had been treated with two or more chemotherapy regimens. The FDA also approved on Monday a test made by Foundation Medicine Inc to help detect the presence of BRCA mutations. If one or more mutations are detected, the patient is eligible for rubraca. KEYTRUDA Also Approved for Second-Line Treatment of Patients with Advanced NSCLC Whose Tumors Express PD-L1. Opinion Based on Findings from KEYNOTE-024 Trial, Which Showed Superior Overall Survival and Progression Free Survival with KEYTRUDA Compared to Chemotherapy. Alecensa as monotherapy is indicated for the treatment of adult patients with anaplastic lymphoma kinase (ALK) positive advanced non-small cell lung cancer (NSCLC) previously treated with crizotinib. The committee found that sorafenib does not provide enough benefit to patients to justify its high cost, even when special considerations were applied. The drug, which costs around £90,000 per patient at its full list price, is licensed to treat HER2-positive breast cancer which has spread to other parts of the body, cannot be surgically removed and has stopped responding to initial treatment. Last month, the government halved the price of cancer drug Opdivo, developed by Bristol Myers Squibb Co and Ono Pharmaceutical Co, on fears that a rapid uptake of the medicine would prove an intolerable burden on the healthcare system. From now on we’ll be working with other charities and national bodies like Public Health England to make sure that people understand more about the registry and how their data is used. For every 100,000 people in the UK, 331 died from cancer in 2014. But by 2035 this number is predicted to drop to 280 per 100,000 people. In the subset of women without a genetic risk or identified mutation that boosts the odds for aggressive tumors, 12 percent still had both breasts surgically removed. In the trials of adjuvant treatments, the likelihood of enrollment by older women increased by 4 percent a year. But in the trials of neoadjuvant therapies and therapies for metastatic cancers, the likelihood that older women would participate actually decreased over time. However, although the risk of death from cancer is likely to fall, the number of people dying from it will continue to rise, because the ageing and growing population will result in more people being diagnosed, the charity said. The vice president appears to be finalizing plans for creating a foreign policy institute at the University of Pennsylvania and a domestic policy institute at the University of Delaware—both within driving distance of his home in The First State. For the study, researchers from the United Kingdom and Australia looked at 534 news releases issued by prominent journals, including the Lancet, BMJ, Nature and Science. The research team also analyzed the 534 journal articles associated with those releases, and 582 news stories that covered the research findings. The journalist paid for a cancer drug not available for free, prompting outcry that NHS users are doomed. But there’s no system on Earth that’s foolproof.